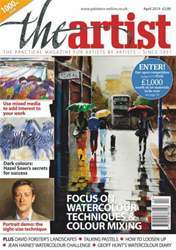 Get your FREE Sample issue of The Artist today! 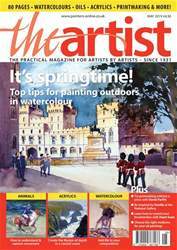 (2 Customer Reviews) | Write Review 13 issues per year The UK’s best practical art magazine for aspiring amateur and professional artists - since 1931. Well-known artists reveal their working practices and techniques, covering all subjects and media, in every issue. Learn how established and up-and-coming artists create their work and use the tips they provide to help you improve your own drawing and painting. Keep up to date with the latest art materials, tried and tested by our trusted panel of expert artists, and keep in touch with the latest art competitions to enter and must-see exhibitions. Learn how other artists make money from their work, join one of our practical workshops/holidays, and don’t miss out on the latest art news and views. Looking for The Artist in print? Unfortunately pocketmags.com does not sell print copies of The Artist, but all is not lost. Our partner at magazine.co.uk sells print subscriptions at the best prices online. Welcome to our milestone 1000th issue! So much has changed since our first issue in 1931, but our mission to inspire and educate practising artists by publishing great content from today's most successful professional artists and tutors, remains as strong today as it was then. 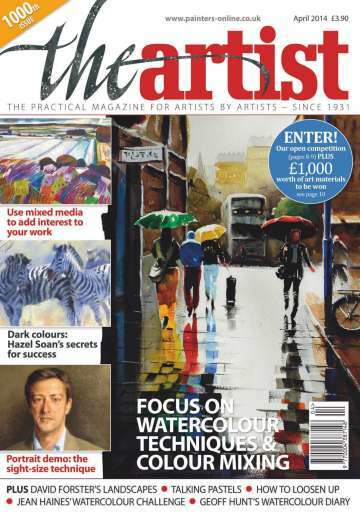 In this issue there is a major focus on watercolour with features on colour mixing by Hazel Soan and Jean Haines, watercolour technique by Judi Whitton and flower compositions by Paul Riley. Oil painters will enjoy the sight-size portrait demonstration by Frances Bell and Ian Sidaway's tips on working in impasto and test report on the new Ken Bromley Artists' Oils. 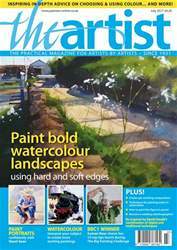 We also include features on pastel artist Lara Scouller, who talks about her passion for painting animals and birds, interviews with award-winning landscape artist David Forster and mixed-media enthusiast Clare Shepherd, and a wildlife demonstration in pastel pencils from Kerry Newell. This is just a 'taster' of the great content in this issue, in which you are also invited to enter our celebratory online prize draws in which we have £1,000 worth of materials up for grabs! 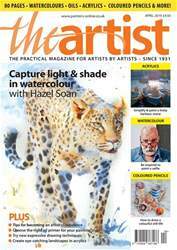 The UK’s best practical art magazine for aspiring amateur and professional artists - since 1931. Well-known artists reveal their working practices and techniques, covering all subjects and media, in every issue. Learn how established and up-and-coming artists create their work and use the tips they provide to help you improve your own drawing and painting. Keep up to date with the latest art materials, tried and tested by our trusted panel of expert artists, and keep in touch with the latest art competitions to enter and must-see exhibitions. Learn how other artists make money from their work, join one of our practical workshops/holidays, and don’t miss out on the latest art news and views. 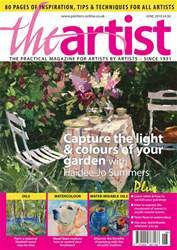 You'll receive 13 issues during a 1 year The Artist magazine subscription. I can't believe how much is packed into one magazine. There is something for everyone whatever your favourite medium. You'll receive 13 issues during a 1 year The Artist magazine print subscription.